The 10 Best Spots for Paint & Wine in Arkansas! One of the hottest new trends in entertainment is drinking wine (or other spirits) while painting an original work of art. With talented and lively artists leading the way, even the most unartistic will feel like Picasso by the end of a paint and sip event. More and more of these colorful classes are sprouting up throughout Arkansas as this fun trend continues to grow. Here are some of our favorites! This trendsetting franchise began in 2007 as Corks & Canvas in Mandeville, Louisiana, soon changing its name to Painting With a Twist in 2009. Today, Painting With a Twist has 328 franchise locations, including this popular one in Bentonville. Take the edge off by purchasing an adult beverage or two during your painting class. Classes are also available in Fayetteville, Fort Smith, Little Rock, and North Little Rock. In May of 2009, Pinot’s Palette opened for business in Houston, Texas, hoping to host just a few weekly paint and sip classes. Today this popular franchise is known from coast to coast and has even spread internationally. While you can’t bring in your own drinks, those over 21 may purchase alcohol during their painting class. Pinot’s Palette will bring out your inner artist! If you’re looking for a way to express your artistic side but don’t know where to start, then check out Conway’s Branch Out Paint Bar & Boutique. Those over the age of 21 may bring their own adult beverages and snack to a private event. This fun group meets at the Core Public House in Fort Smith every Tuesday. Those over 21 have the option of adding an adult beverage or two to this fun night. Drink and Draw is a two-hour event featuring a free live model. It began as the original (and fastest growing!) DIY wood-sign entertainment chain in the nation and now Board and Brush is a hit in the Central Arkansas area. As each Board and Brush Creative Studio has a different alcohol policy, guests should check with the studio before bringing in their own beer or spirits. You’ll be a “DIY master” by the end of this paint and drink event! Knowing your colors, shapes, and letters is all you need to get started at this Little Rock painting hotspot. Bring your favorite food and wine to class because the way Spirited Arts sees it, the more relaxed and happy you are then the more you’ll learn from this spirited experience. Paint Nite is the perfect cocktail of conversation and creativity where you’ll go home with more than just a buzz. With thousands and thousands of events being held in bars across the United States, it’s no surprise that social media is buzzing with news of Paint Nite. The only requirement here is FUN so check out their website for events being held in the Little Rock area! This Veteran-owned and operated venue was established in June 2013. The philosophy at Canvas n’ Spirits is simple: Paint inspired! 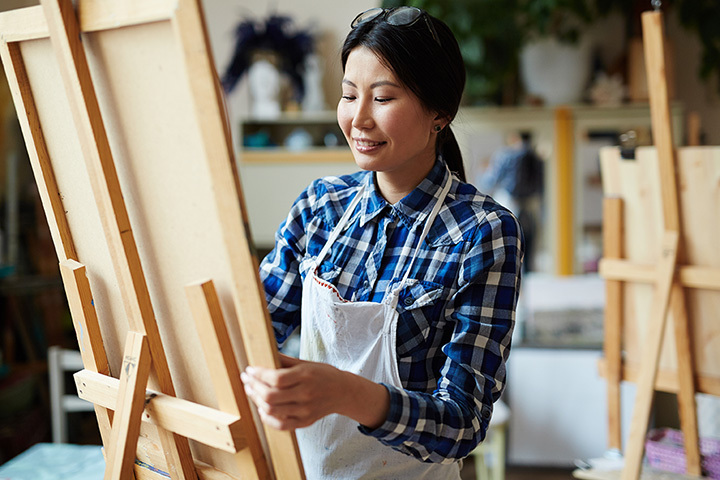 Exploring your inner artist is as easy as 1,2,3 at Sherwood’s Canvas n’ Spirits. Come on in and relax, paint, and enjoy yourself at The Painted Canvas in Clarksville! You’ll enjoy this fun and inviting atmosphere where they want you to experience nothing but the best. Stop by anytime to check out the studio located on West Main. The Painted Pig Studio is Little Rock’s DIY destination! This place has been providing DIY art entertainment to the Central Arkansas area since it began business in January 2007. While all parties are welcome to bring in food, on Girls’ Night Out nights, guests are welcome to bring in beer and wine.